Held at the PUDDLESTOMPERS Nature Center, this one day program offers children the chance to get outside and remain active during school vacation or holidays. 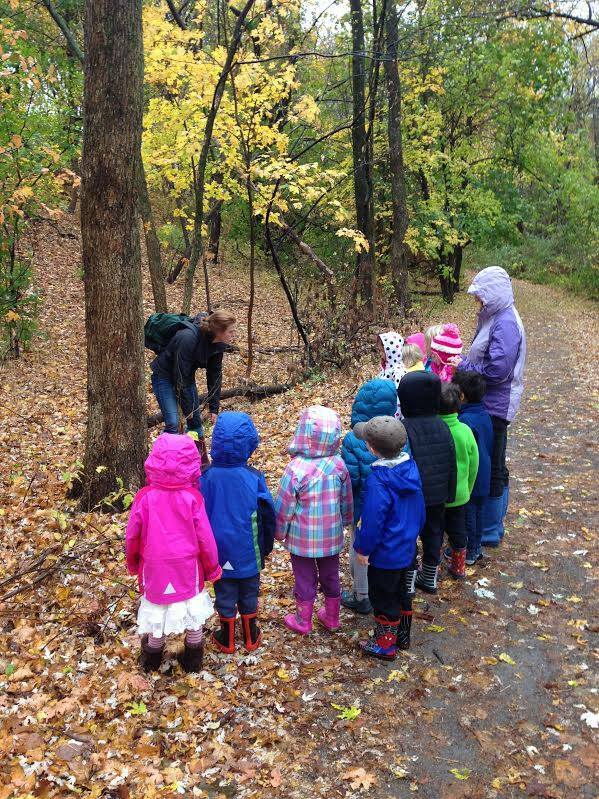 A small student-to-teacher ratio creates a personal and safe environment for exploring along the trails of the Charles River Greenway. Each day includes a combination of hands-on exploration, active movement, outdoor play, stories, songs and a take home craft centered around the topic of the day. A handout is provided at the end of the day with additional activities and information to extend environmental education and nature discovery into your home. A mid-morning snack is provided. You can view our STEM-based curriculum here. Programs are held rain or shine! Children MUST be potty trained in order to attend this program. Please review all of our Policies before registering. What happens in the case of inclement weather? Classes are held rain or shine (or snow)! Each program location has an indoor space for the entire day, but we will always try to get outside, so please dress weather-appropriate! What snack is provided? We provide a snack of Rold Gold pretzels, which are made in a nut-free facility. Can I sign up for extended day the day of? While we understand that things often come up, we cannot guarantee extended day spots under a week from the desired date. Please check with your Lead Teacher for availability or email the office at info@puddlestompers.com.